The conclusions of the consultation were published on the 17th December, the day Parliament started its Christmas Holiday, presumably for avoidance of debate. Complaints that this important public consultation was being carried out in secret were met by campaigns in particular via the 38 Degree organisation and by an article in the Guardian newspaper on 19th November, four days before the consultation closed. 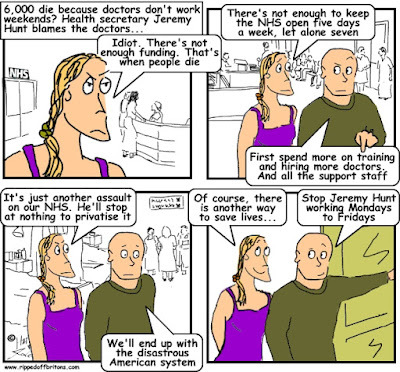 "Jeremy Hunt has been uncharacteristically quiet about the invitation to all of us to comment on the proposed mandate. He made a written statement on the launch day but as far as I could tell, doesn’t seem to have said anything much about it since. I asked the Department of Health how many responses they’d had but they responded that they couldn’t possibly say. I asked NHS England what they think about the mandate and they said: “The mandate is a matter for the Department of Health and the public (via the consultation on it) – we wouldn’t have anything to say on it.” So far, so Kafka." So what was the consultation about? 1. Do you agree with our aims for the mandate to NHS England? 2. 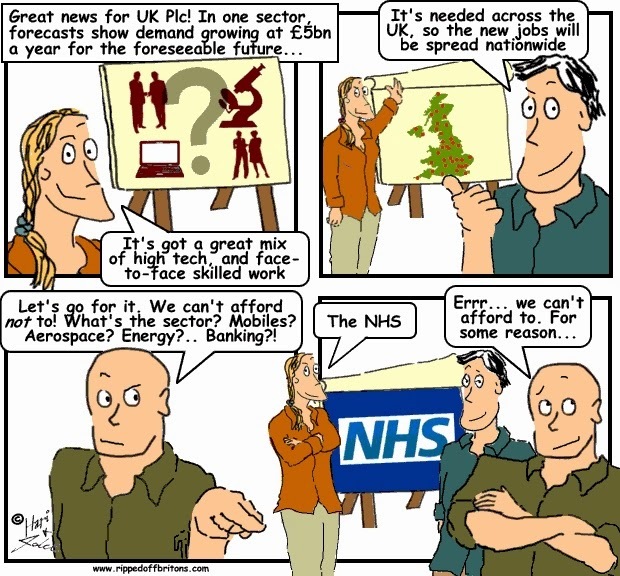 Is there anything else we should be considering in producing the mandate to NHS England? 3. What views do you have on our overarching objective of improving outcomes and reducing health inequalities, including by using new measures of comparative quality for local CCG populations to complement the national outcomes measures in the NHS Outcomes Framework? 4. What views do you have on our priorities for the health and care system? In its own response to the results of the consultation, the government admitted largely ignoring individuals who came as a result of campaigns such as 38 Degrees (they estimate 114,000 people), focussing on the 12,490 "unique" (i.e. not participating as a result of a campaign) contributions. “The 12,490 'unique' responses not associated with any of the above campaigns consistently raised a number of closely related issues that cut across the consultation questions. The key issues related to funding, private sector involvement and staffing. These, along with our responses, are summarised below. This startlingly negative response even from the 'non campaigners' provides food for thought. The Conservative mandate from their 'stunning' electoral victory this year is a smokescreen. The Conservatives won a stunning victory in the 2015 general election. Stunning not because of its magnitude but because it happened at all. The victory left the Tories with the smallest majority in decades. And was due not to their own merit but to the success of the SNP in Scotland, and the punishment of the Liberal Democrats everywhere. If the Tories don't get the message that with an effective campaign, such as conducted by 38 Degrees and the Guardian, the public will turn out to protest at their ideological obsession cutting the public sector, lets hope the opposition parties do. And lets hope Great British Voters will exercise their power and turn out to vote come election time.